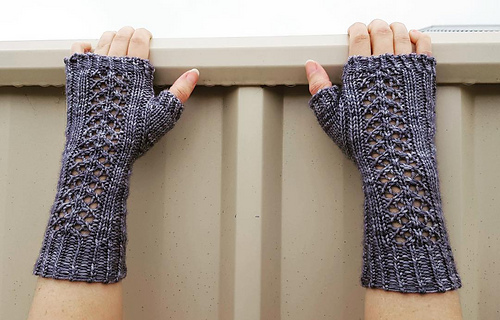 The Raspberry Roses Mitts was designed to coordinate with the Raspberry Roses Beanie & Cowl. It uses various stitches to create a fun textured design. Worked in the round from the bottom up, the twisted rib edge adds something extra as does the gorgeous trellis lace. 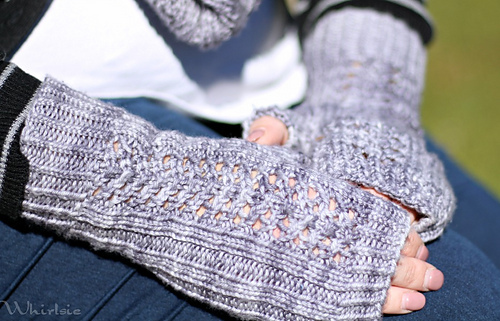 The mitts have a mirrored design, and can be modified to be as long or as short as you desire.